Following his official transfer to Liverpool last night, Fabinho welcomed the possibility of Ligue 1 superstar Nabil Fekir making the same switch. The exceptional Frenchman, who scored for France in a friendly with Northern Ireland last night, is a definite target [Echo], but has been coy on the chances of leaving Lyon. 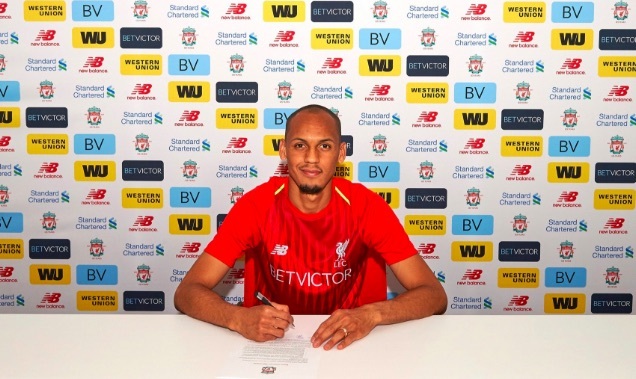 Fabinho though has praised Lyon’s captain and encouraged Liverpool to sign him. He told RMC: "He is a very good player, of international level. In Ligue 1, it is not only this season that he has shown things. "It's been a few years of him demonstrating his quality. If he comes, it will be good too." If we secure Fekir, we could have an entirely different starting midfield in 2018/19 than we did in the Champions League Final. On Saturday, Jordan Henderson, Gini Wijnaldum and James Milner played, but with Naby Keita also a done deal, Jurgen Klopp could select Fabinho, the Guinean and Fekir in a mouthwatering trio. The thought of those three behind Mo Salah, Sadio Mane and Roberto Firmino is very, very exciting, in truth. Providing we buy a top goalkeeper, which we absolutely must as a priority, Liverpool could mount a serious Premier League title challenge next term. We’ve got a long summer to think about what could be, anyway!